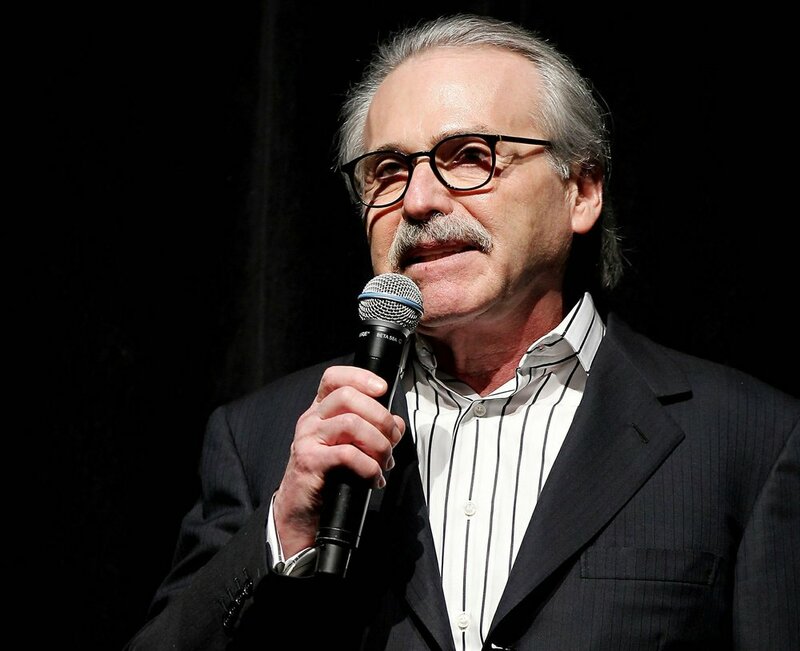 David Pecker, chairman and CEO of American Media, addresses those attending the Shape & Men's Fitness Super Bowl Party in New York on January 31, 2014. The National Enquirer committed neither extortion nor blackmail by threatening to publish intimate photos of Amazon chief executive Jeff Bezos, an attorney for the head of the tabloid’s parent company said Sunday. Elkan Abromowitz, an attorney for American Media Inc. chief executive David Pecker, said on Sunday a "reliable source” well-known to Bezos and his mistress provided the story about the billionaire’s extramarital affair. Bezos’ affair became public when the Enquirer published story on January 9 about his relationship with Lauren Sanchez, who is also married. Bezos then hired a team of private investigators to find out how the tabloid got the texts and photos the two exchanged.